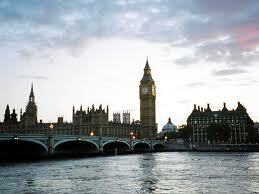 Wordsworth, W. 'Sonnet Composed Upon A Westminster Bridge, September 3, 1802' in A World of Prose. Edited by Mark McWatt and Hazel Simmonds McDonald. Pearson Education Ltd, 2005. The persona in this poem is reflecting on the perfection of the city. He believes that there is nothing on Earth so beautiful as the city in the morning. Only a dull person would not appreciate such a majestic sight. He is awed by the calm of the city. Line 13: When some-one is asleep, they are usually peaceful. Therefore, when the persona describes the houses as sleeping, he is emphasizing the peace that exists in the city in the morning. The inhabitants of the houses are asleep, therefore the houses are quiet and peaceful. This word describes the way in which the sun ascends into the sky. It is stressed that it does so in a beautiful manner.